SAS is the most sought-after training today. The A number of courses offered by different institutes are available to choose from. These institutes provide specialization courses, some even offering online courses and certifications. There are various training formats as well. Edvancer is ranked among the top ten institutes in India, with alumni from IIT and IIM and has trained 3000+ students. It is a certified SAS training institute in Mumbai providing training in analytics, data science and big data globally and Data Science training. SAS has accredited training centers in Mumbai, Pune, Ahmedabad, Hyderabad, Bengaluru, Jaipur and Kolkata. SAS training and Data Science training is being offered by Ultramax Infonet Technologies (P) Ltd., located at Andheri. Students can select a from a course list or easy-to-use learning paths for guidance. Data Bootcamps are designed to prepare the candidates for multiple job roles and international certifications. Case studies from real-life situations are presented to the students to build problem-solving capabilities by using the SAS software. Imarticus is an industry-endorsed classroom, which designs online programs as per the student needs. They offer certifications in the SAS program. SAS training and Data science can be done through this program. They provide a comprehensive curriculum on Data Analytics, Base SAS, and Advanced SAS. They offer different kinds of programmes. 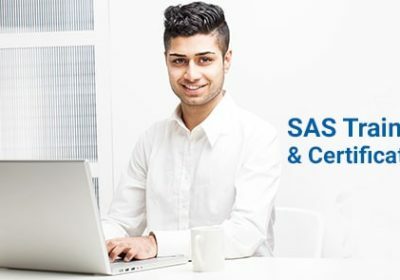 This is a short-term program which provides a comprehensive understanding of the SAS platform, which is considered to be the world’s leading Analytics technology Program. The curriculum is built to industry-aligned standards, to prepare students for the base and Advanced certification programs. They further provide career assistance through help in building resumes and conducting mock interviews. Quick Xpert Infotech is also offering SAS training and Data Science training in Mumbai. They provide highly trained instructors, with best training facilities and friendly atmosphere. They provide in-depth training with R programming. They create real-life scenarios to ensure that their students get to experience through learning. By conducting multiple sessions, they ensure that they provide their students with a strong foundation. They offer career assistance after successful completion of the course. They have numerous centers across Mumbai, ensuring easy reach and best service. Simplilearn in Mumbai offers Data Science training and SAS training. They teach how to apply data manipulation and optimization techniques using statistical concepts like linear regression. They teach methods to solve practical business problems arising in the industry. This course provides a practical knowledge which would be useful in acquiring a data analysis job. For Individuals, they offer a self-paced course which comes with a reasonable price tag of INR 9,999 and an Online Classroom Flexi-Pass, which is instructor-led online training which comes with a price-tag of 21,999. For Corporates, Simplilearn offers customized training. They also offer four real-life industry projects, which provides hands-on training to the students. As SAS is a highly specialized training program, it needs a thorough professional training by a well experienced professional.